When you’re moving house it can be hard to know which removals company in Shepherds Bush, W11 would be best for you to use. To help with this, our moving firm has put together a quick and simple summary of why we think each and every one of our services is better than anyone else’s. Firstly, all of our services have been designed to help you; they are not designed as a money making scheme, they are packaged to give you the best value for money you can find. Secondly, they are carried out by exceptional home movers in Shepherds Bush who are trained to move your household or business items carefully and efficiently. Thirdly, our team only uses modern moving equipment that is well-maintained, reliable and safe for you to use. So if you have furniture or equipment that you couldn’t do without, our firm is sure to have a removal van in Shepherds Bush to sort it out. Finally, all of our moving services are available at rock-bottom prices and are never overpriced or of a poor quality. So if you care about getting affordable removal services from an experienced and well-equipped moving team make sure you call Moving Service on 020 8746 4402 for all of your moving needs. The area is a well-known area in north west London and covers the W11 and W12 districts. Part of the London Borough of Hammersmith and Fulham, it is served by the Circle, Hammersmith & City and Central tube lines. Tube stations in the area are located in zone 2 of the London transport districts. The area is ideal for anyone looking to stay close to central London while having a great local hub to explore. Known best for its large common and shopping centre, the area is popular with residents and visitors alike. 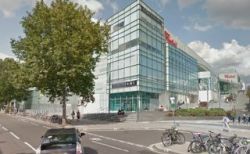 The famous Westfield’s shopping centre is located next to the main Shepherd’s Bush tube station and is the largest inner-city shopping centre in Europe. With many high-street shops joining a designer village, this centre is one of the main shopping hubs in the city. As well as the Westfield’s Centre, there is also a great selection of independent shops and bars along Uxbridge Road, Goldhawk Road and Askew Road. If you’re moving to the area then you will also be pleased to know that there is a large 8 acre common which is ideal for escaping the busy shopping streets. Quick and Efficient Moving to Shepherds Bush All Year Round! So if you’re ready to make a removal in Shepherds Bush area, remember to write our number down now – 020 8746 4402. Our Moving Service deals offer excellent value for money and are sure to give you the peace of mind that you need. All of our removal services can be tailored to meet your needs and can include everything from removal van hire to comprehensive moving packages. If you want something in the middle then our man with a van services may be just up your street and can help you with your basic lifting and loading. So if you have removal boxes, furniture or office equipment to move, remember to check out our extensive service range. Our moving team in Shepheds Bush, W11 are sure to have a service that meets all of your moving and financial requirements. If you’re not sure where to start when it comes to the move then why don’t you check out our handy moving tips as well? Our movers in Shepherds Bush have had many years of experience and can help you to get on track with any of your house or office removals in Shepherds Bush. Moving Service made sure that my delicate furniture was wrapped properly. Everything survived the move to Shepherds Bush. I recommend them to anyone needing a trustworthy moving service.